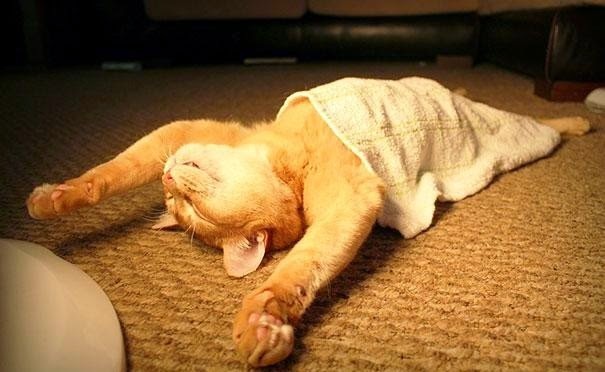 The photos of animals are always interesting and extreme, when they are tender photos, they are really tender, when they are original, few others are as original as them and when they are funny they are extremely funny. This time we present a selection of funny photos and pictures of cats that will steal you more than a smile, remember that you can share them with all the people who also want to have fun watching funny images of cats. 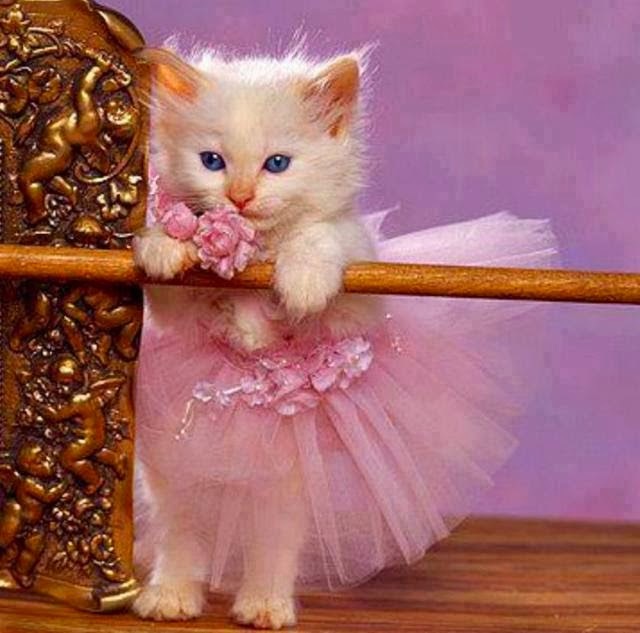 A funny photo of a ballerina cat in the middle of her practice. 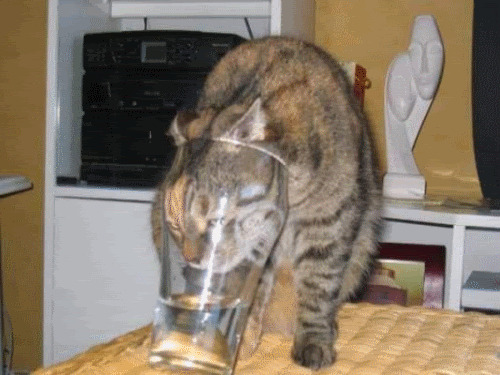 Who said that all cats like water? 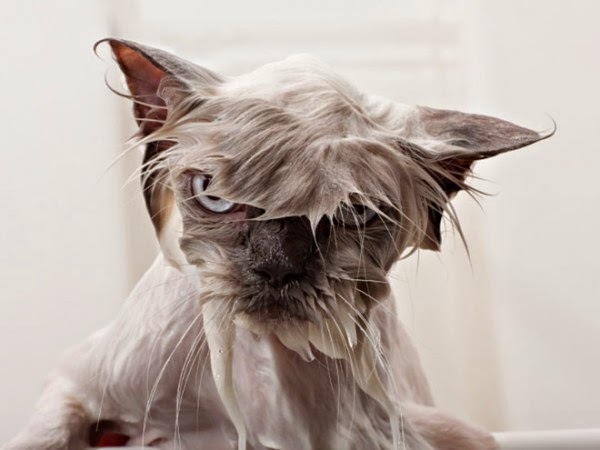 the face and expression of this cat shows us that he prefers to be dry. 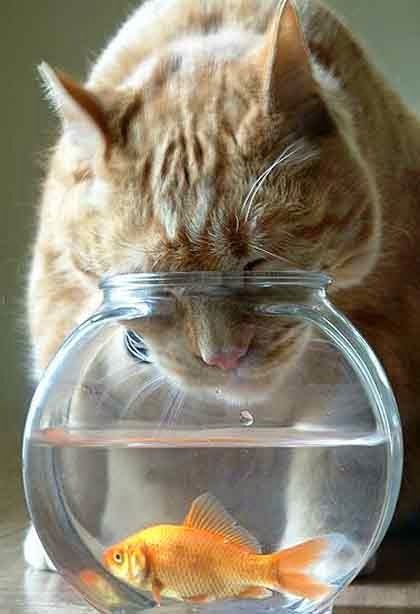 This cat is ready to enter his nose into the tank and take the fish, seems unaware that he has no gills. Another similar example with the difference that this was not aware that there is no a fish inside. 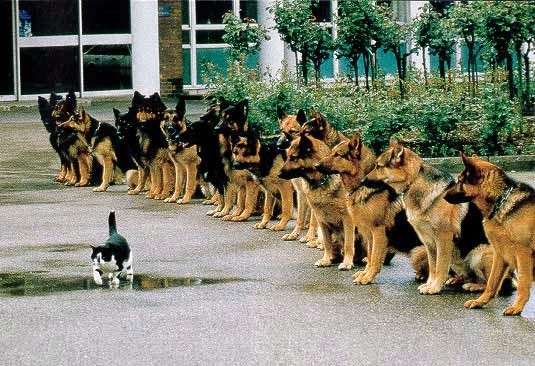 When a cat want to show a great character, must do this, to walk in front of a group of big dogs. 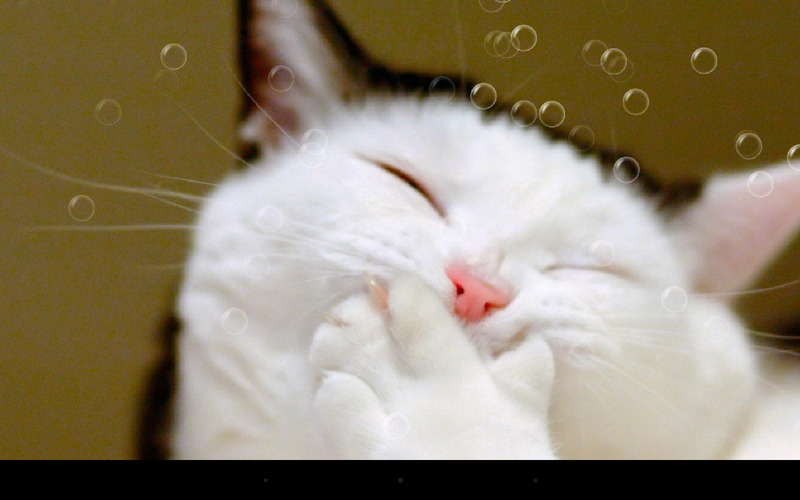 A funny photo of a cat smiling surrounded by bubbles. 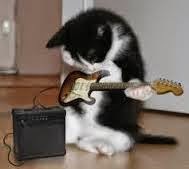 This is a real rocker, it's a cat playing an electric guitar. 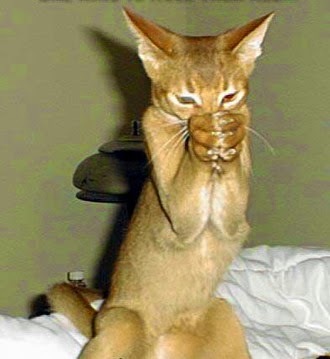 Apparently this slim cat did something really bad because now he is praying. If the idea is to rest there is no better way to do it than this.